Officially nothing has been announced by FOX or Marvel, but it does seem that today could become a Fantastic kinda day! After years of being at FOX, the first family of comics may finally return home to Marvel. According to Den Of Geek, Marvel has made a deal with Fox to secure the rights of the Fantastic Four movie franchise. The deal would include the classic characters Dr. Doom, Silver Surfer and Galactus. The first movie is expected to come out in 2020. Fox is looking to take the X-Men to TV but they needed Marvel to sign off on the deal and that deal seems to be going through also. 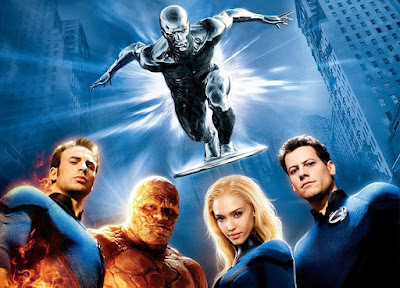 What definitely was instrumental to the return of the “Fantastic Four” from Marvel was the disastrous box office return from the recent “Fantastic Four” reboot that Fox released this summer in theaters. According to our source, we understand that the deal Marvel has made with Fox will see Fantastic Four returned to the Marvel fold in exchange for the X-Men TV rights. Also this deal includes the rights to villains Galactus and Doctor Doom, as well as the Silver Surfer. If this deal pans out, it means that two of the biggest villains in comic books will be able to appear elsewhere in the Marvel Cinematic Universe, and not just in the 2020 film that is said to already be in place. This news seems to shed light on the three untitled Marvel projects announced with Ant-Man and the Wasp. UPDATE: FOX is now claiming that no such deal is in place and that they are looking forward to making countless, forgettable sequels and reboots for years to come.